From September 5th to October 15th 2017, the Uffizi Gallery hosts an exhibition dedicated to Luca Giordano - an important exponent of Neapolitan Baroque - and Taddeo Mazzi - a Swiss artist who worked in Florence. The exhibition shows two new acquisitions of the museum. The Uffizi have bought two preparatory drawings of great works by the two artists. 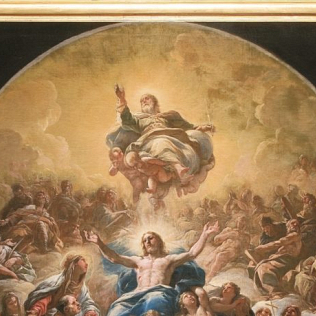 The work by Luca Giordano is a preparatory sketch for frescoes painted by the artist in the Corsini Chapel in the Basilica of Santa Maria del Carmine. The painting by Taddeo Mazzi served for the creation of an altarpiece for the sanctuary of Monte Senario. The small paintings are exhibited with the artists\' self-portraits. The exhibition also shows other sketches by Giordano and other painters. The Uffizi Gallery, with this exhibition, wants to emphasize the link between the museum and the territory of Florence and its surroundings. Visitors will be able to admire the final works - of which the sketches exposed are the preparation - in places not very famous but very significant and charming.